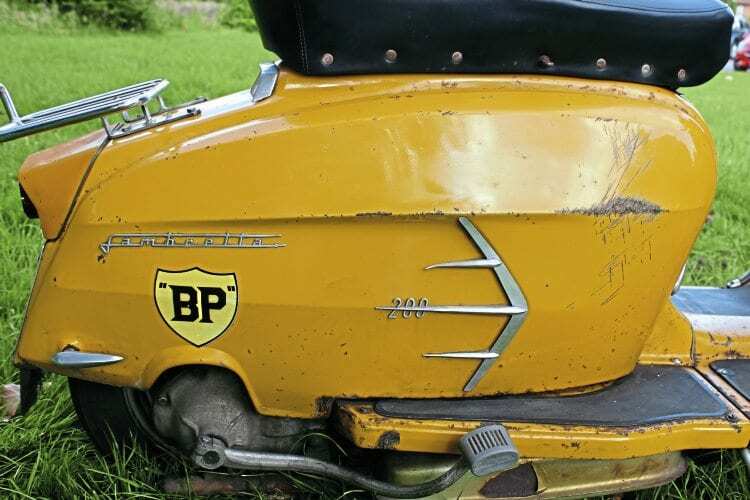 When all is said and done, irrefutably, a scooter can only ever be in original, unrestored condition the once. In rallies, gatherings and the like, unrestored machines, certainly in recent(ish) times, command as much, if not more, interest from admirers as scooters that have had serious amounts of hard cash lavished on them. 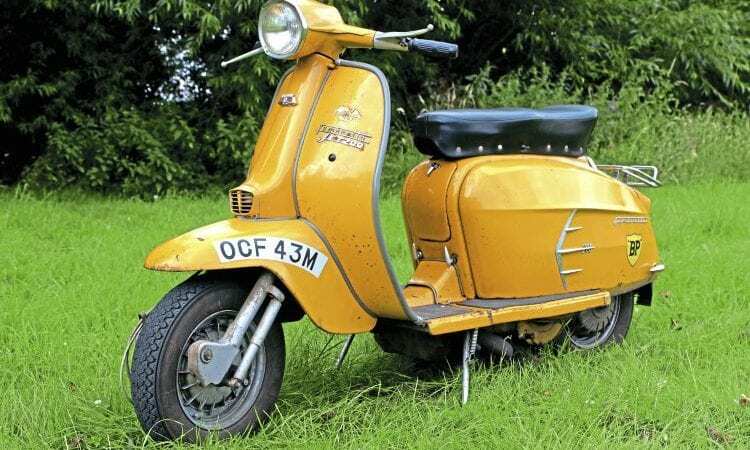 With spiralling prices being asked and often met for classic original condition scoots (especially 200cc examples) it is no surprise that unrestored machines are very popular. And that’s without the buyer’s planned full blown custom or a nut and bolt concours restoration, which can double, triple even quadruple the initial outlay for a finished article. Not everyone has a bank balance to rival Sir Philip Green! Given his circumstances at the time, how current owner Sacha Freeman ended up with this neat, unrestored Jet 200 makes an interesting story. 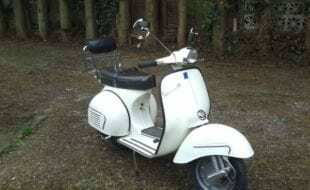 “In 2013 I had a series 2 Lammy and a GP. I’d always wanted a GS, and hadn’t long managed to get one, when my partner was pregnant with our son. I was vaguely, but not really actively looking for a series 3 Lammy that was a bit different. I saw a Jet 200 on the internet, after which I quite fancied getting one. In original condition, not restored, with a standard engine, and it would need to be localish and the right price. On November 5 I was at a bonfire night event at Stadhampton with clubmate Stuart Green when he mentioned he’d seen a Jet 200 for sale online that was semi local. In fact another club mate, Paul Reid, was brokering the sale on behalf of the then owner. Prior to Sacha taking ownership, over the previous few years the Jet 200 changed hands twice, though Peter Scott fell on his feet when attending a VW rally in the Portsmouth area. ”Peter Scott was on a Volkswagen rally in the Portsmouth area and he happened to be wearing a Lambretta coat. 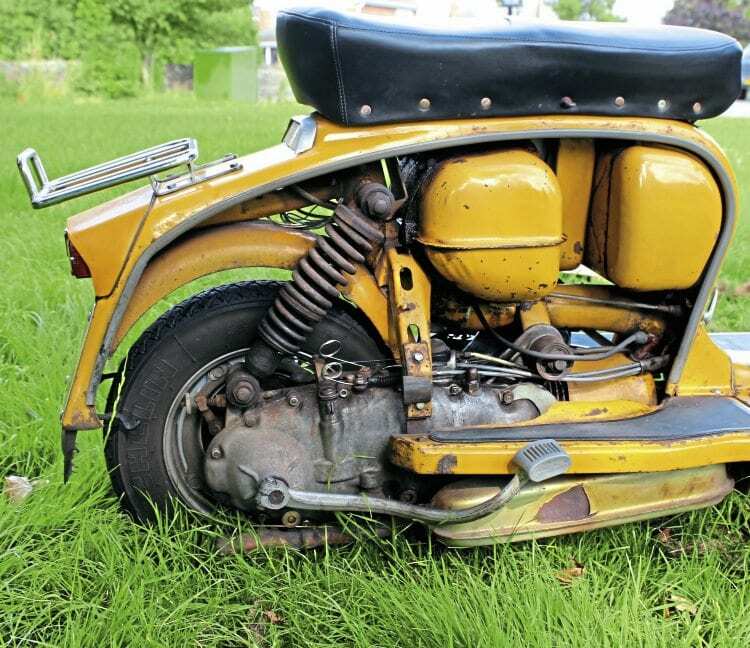 He was approached by another VW enthusiast who informed him about a Lambretta that had been found in a garage in Hastings; one of the fella’s friends had bought the garage and was he interested? Numbers were exchanged, a while later Peter went to have a look at the garage find. Under a dust sheet was a slightly tatty Jet 200 with just 6000 miles in the clock, fitted with front and rear crash bars. Of course he bought it. 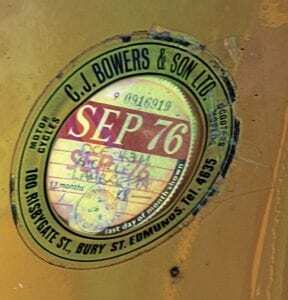 “A bit of detective work on Peter’s part revealed the scooter was sold as new in Bury St Edmonds, by CJ Barnes and Sons. The first owner worked at the local tax office and he was eventually promoted, which involved relocating to Hastings. Which is how the scooter ended up there. Peter took the engine apart to check everything was as it should be and it turned out it was, as would be expected with only 6k miles clocked up. It was pretty much pristine! Just the right amount of of grubby and ‘well used’, yet still tidy. Patina on the panels wears well. Obvious question was how did Sasha’s better half take the news that he had spent out on his fourth scooter? She took it surprisingly well, she was pretty cool about it, I did tell her I bought the Jet for our son anyway!” Once he realised how amenable she was regarding his scooter addiction, Sacha has pushed his luck so to speak. He’s doubled his scooter fleet size from four to eight in the last three years! Lucky chap to have such an understanding partner. 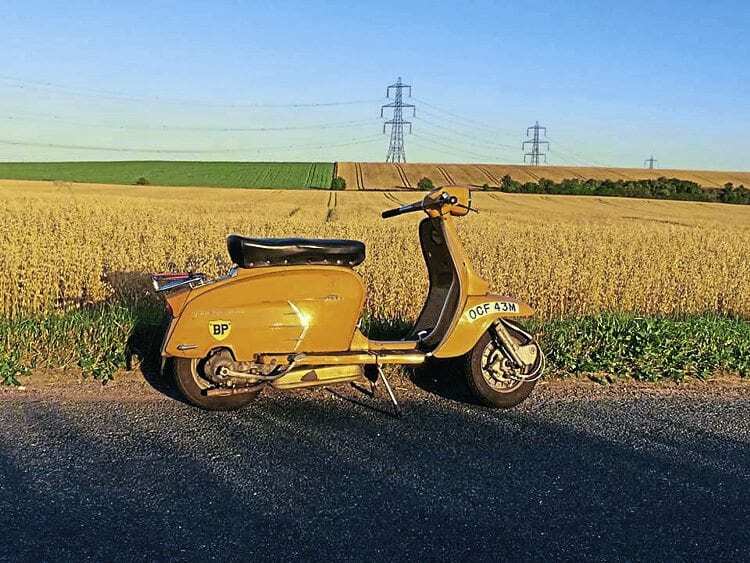 With the 70th anniversary of Lambretta being celebrated in Milan next year, which Sacha is planning on riding to, which from his fleet will be his preferred steed? 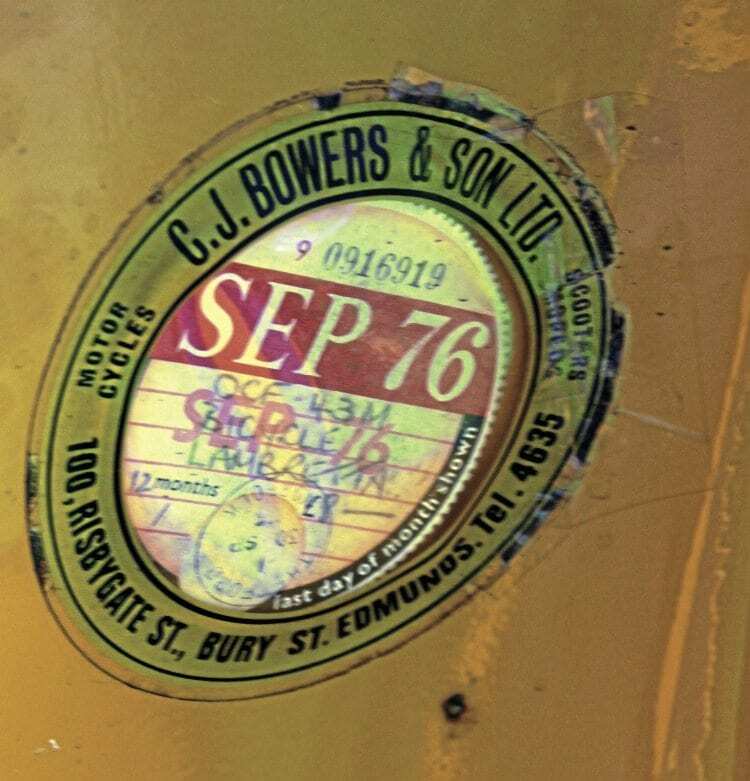 “It’ll be a toss of a coin between the GP and the Jet, it’d appeal to my sense of irony to go on the Jet, I’ll see which one nearer the time.” One thing that is for certain is that Sacha’s 1974 Jet 200 mark 2, will remain in its unrestored condition for the foreseeable future. Breather might need a clean. 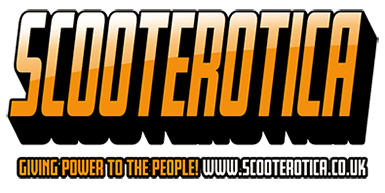 Scooter club & town: Oxford Roadrunners. 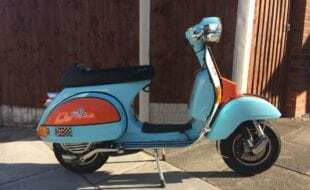 How and when did you first become interested in scooters: My stepdad Ray had a series 2 since 1962 and it was dumped in the garage. It always interested me, that and his 60s stories. When I was 14 I was in Wallingford one Saturday and saw the mass of Horny Rhinos SC riding through. That was it, I was hooked! 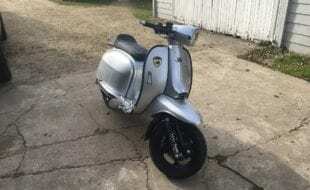 What was your first scooter: Vespa 50 Special. 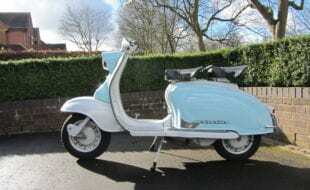 What is your favourite scooter model: Lambretta GP and most 1950s Vespas. What is your favourite style of custom scooter: Street racer but less is more. 60s style street racers and rusterations. First rally or event: ORRSC custom show at Rivers night club about ’86. 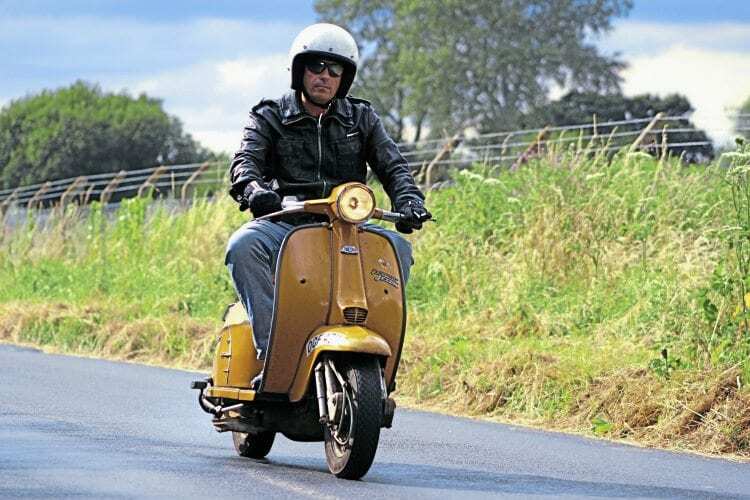 Favourite and worst rally/event: Best was Euro Lambretta ’97. Rode to Milan via south of France on pretty much a standard TV175 motor. Funniest experience with a scooter: Used to share a garage with my partner in crime Nik the boy. One day he was showing someone his PK grasstracker so filled it up with a small amount of fuel that was in a jerry can and tried to start it, bumping it etc. 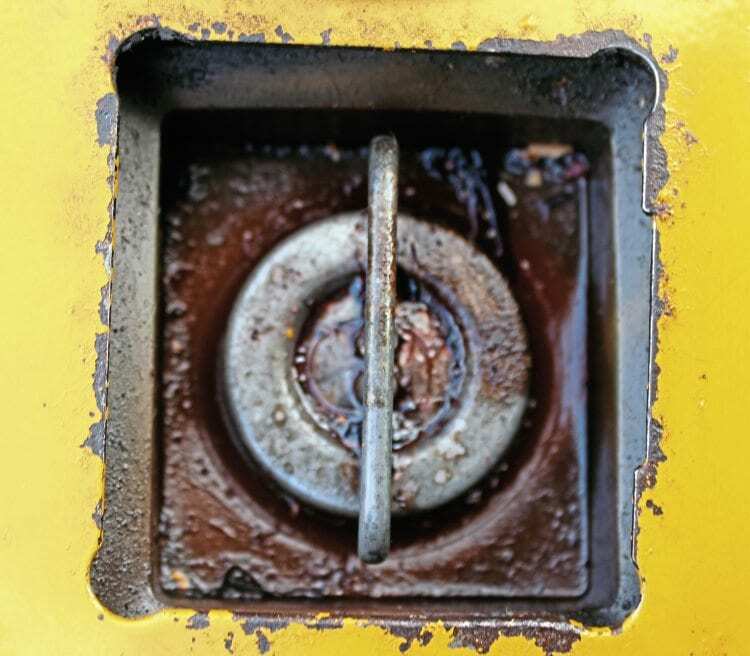 then stripped the carb and realised he filled it up with my piss. It was easier than going indoors to use the toilet. What do you like about rallies/events: The ride there. The rallies themselves are pretty much the same old. The people you go with make it. What do you dislike about rallies/events: Fancy dress brigade is annoying nowadays. Favourite Scootering feature: I’ve always been a mechanical engineer so anything to do with that. Features on interesting machines too. 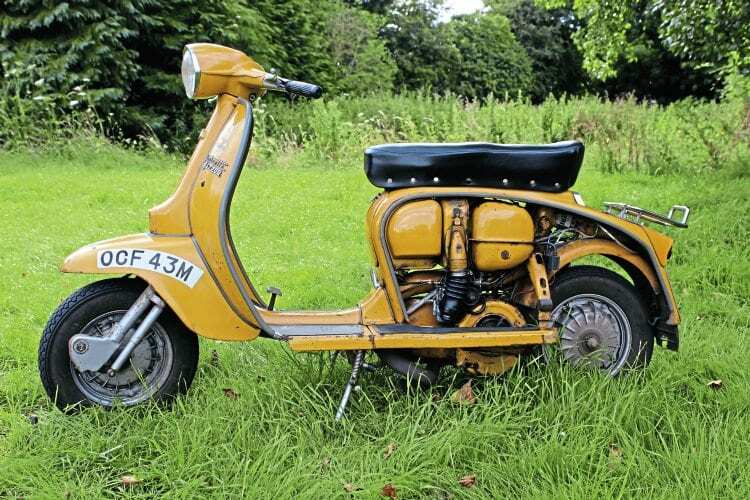 Favourite custom/featured scooter of all time: 1) Norrie Kerr’s LC1 Vespa smallframe. 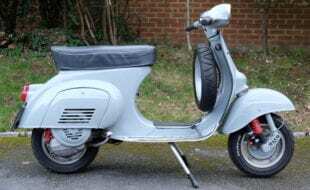 2) RS250 Lambretta by Ralph Saxelby. I remember reading the spec when it was first featured in ’93 and was amazed by it. If you had to recommend one scooter part or item of riding kit what would it be: I will recommend two, the tubeless rim and the Cyclone five-speed box. Engine kit: Standard Jet 200. Crank: GP with Varitronic ignition. Clutch: Four-plate with uprated springs. Top speed: Will sit at a genuine 60mph. Lay down and you will hit 68mph. It pulls top gear from 30mph very well, it’s almost like you could chuck the rest away. The Varitronic kit helps. Is it reliable: Yes. So I should leave it alone. Is there any engraving: Do scratches count? In hindsight, anything you would have done differently: Try harder to have got it cheaper. 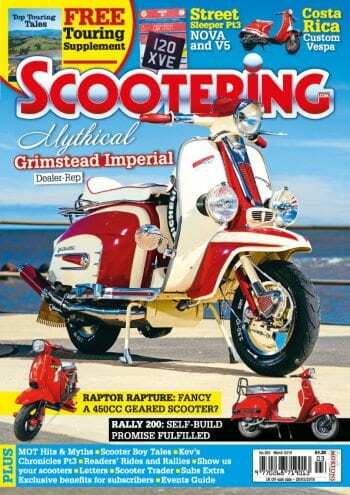 Your favourite dealer: For Lambretta Ralph Saxelby and Readspeed. Sleek lines with neat panel gaps, beautiful. 1954: Lambretta Locomociones SA open Eibar factory in Northern Spain. 1960: Production of Spanish made Lambretta passes 50,000 units manufactured. 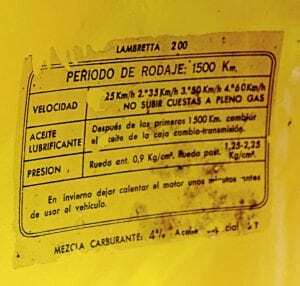 1963: Spanish TV175 Series 2 joins the Li150 and Li125 Series 2 in production. All three models have a turning front mudguard (as fitted to the Innocenti Rallymaster) and a dual seat was fitted as standard. 1964: Spanish TV175 Series 2 handlebar/head light changes to the threepenny bit TV/SX, made by Forres, along with a Series 3 type speedometer. Also Innocenti TV175 damper forks, along with Innocenti front disc brakes were stock fittings as was the series 3 TV175 engine. 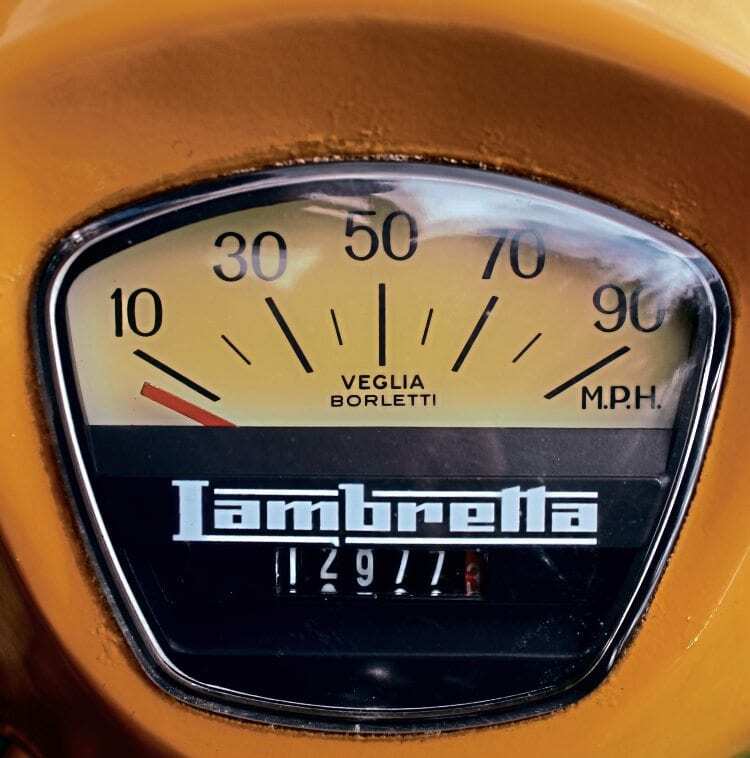 1965: Production of Spanish made Lambretta passes 100,000 units made. Scooterlinea range introduced, Spanish Slimstyle, Li125, Li150 and TV175. The factory changes name from Eiber to Serveta SA. 1966: Spanish TV200 introduced, albeit a very low production run in Spain. 1967: Jet 200, Mark 1, introduced, replacing the very rare Spanish TV175 Series 3 early examples were near identical, including badging, to Innocenti SX 200, main exception being an Li Series 3 front mudguard. Early Spanish Jet 200 models fitted with front disc brakes are very rare. Quite early on the Special and SX200 legshield badges were replaced with Jet 200 badging. 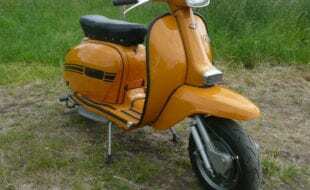 1969: Lambretta Concessionaires began importing Spanish made Lambrettas: to begin with it was the Spanish 150 Special. 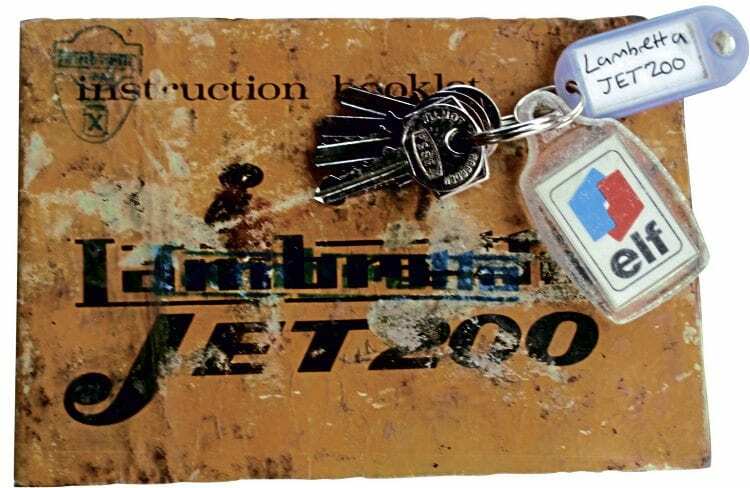 1971: Jet 200 frame numbers, manufactured between 1971-1980 start at frame number 550200. 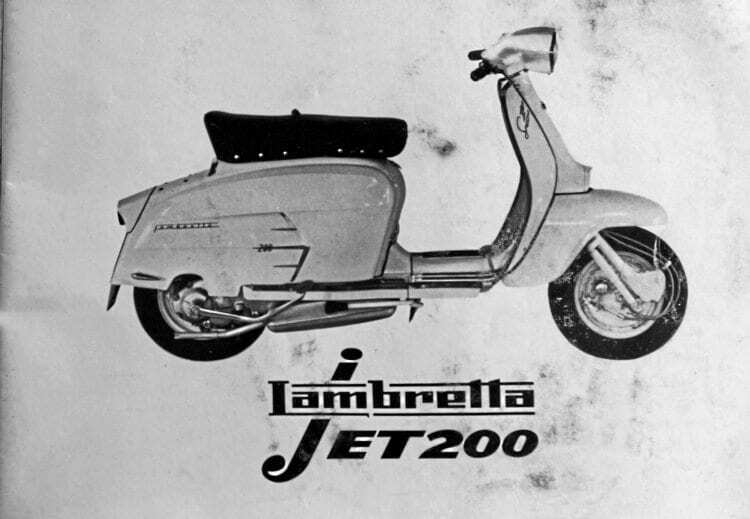 1972: The first Jet 200, without a front disc brake, Mark 2, was officially imported to the UK as well as other Lambretta markets worldwide. 1973: Serveta introduce The Pony, a Lambretta engined 200cc monkey bike. 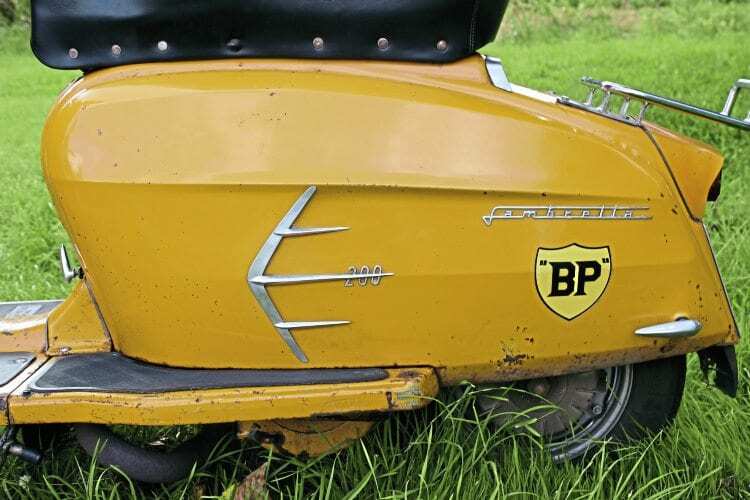 With Innocenti having ceased to produce scooters, the firm parts began to be replaced with uniquely made Spanish items. SX/Special side panels were replaced with clip on (GP style) LI side panels and floor runners became superseded by floor mats. Also the air filter was rehoused in the toolbox, with a vented door allowing air intake. 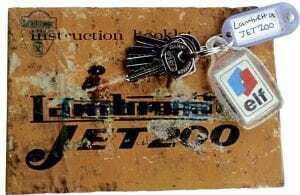 1974: Jet 200, Mark 3, horncasting badge changed from Eiber to Serveta. 1975: Up until production of the Jet 200 ceased in 1982 a number of upgrades, some due to EU legislation, others for both practical and aesthetic requirements, were introduced. Some of the more notable were indicators on chrome stalks, GP inspired panel stripes, sealed unit 6v headlamp and upgraded electrics and switches. 1980: Jet 200 Mark 4, with fat front dampers, and the USA specification Jet 200 Mark 5 launched. 1982: Jet series 80 200 and Lince 200, Jet Mark 6 introduced, manufactured until 1984, including a specific variant made for police. 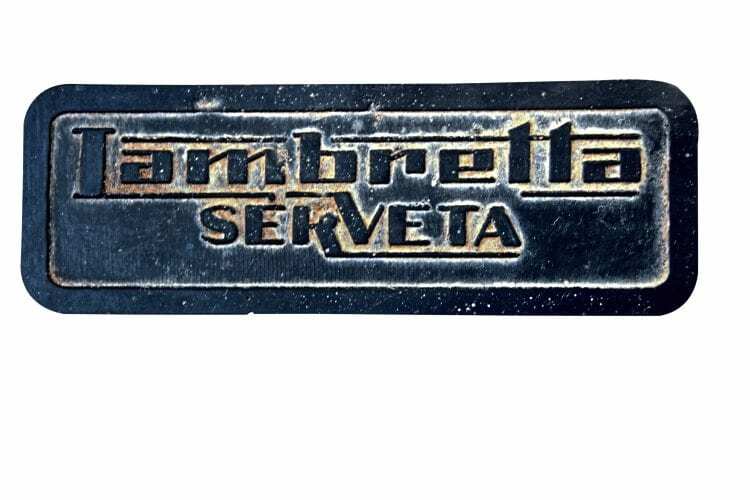 Also in 1982 the name Serveta was replaced by Lambretta SAL, where scooters were made alongside washing machines. 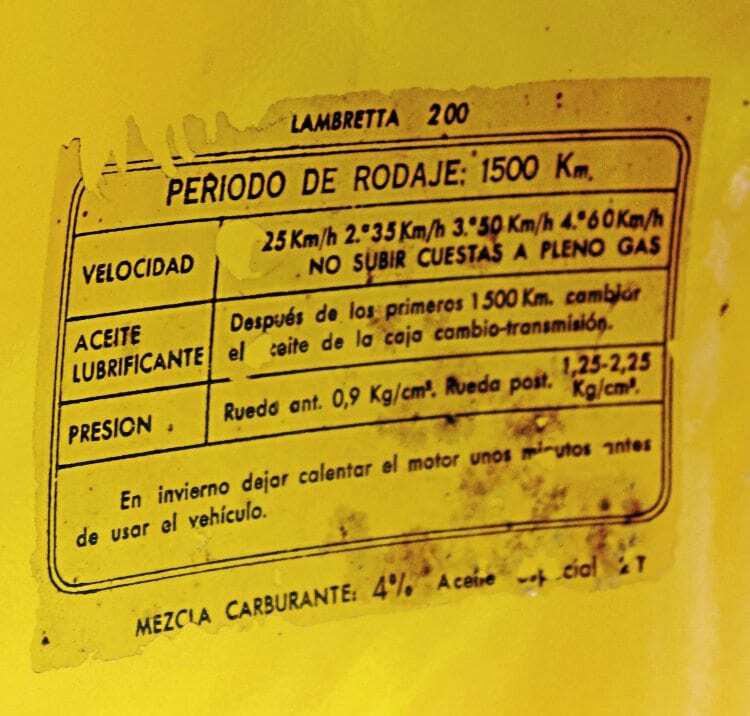 The 1982 Spanish 200cc machines had their frames stamped SX200 starting 560000. 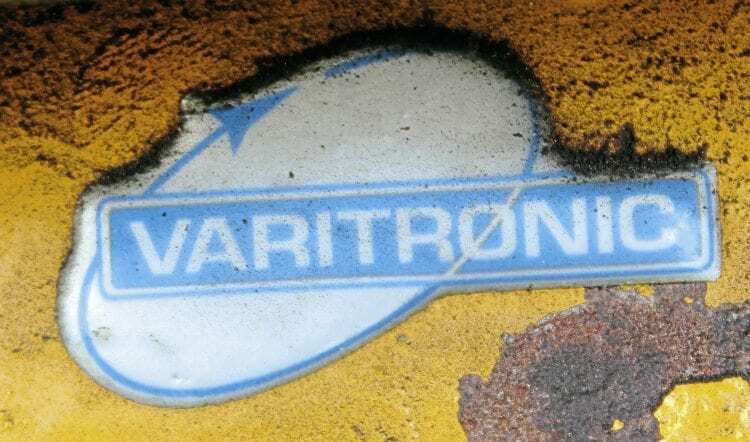 1985: Production relocated from Eiber to Amurrio. 1986: Linx 200 introduced, over 1500 made. 1987: Extensive prototype development put into a planned model that never went into production, Lambretta Amiga, which was based around an uprated Linx 200 engine. 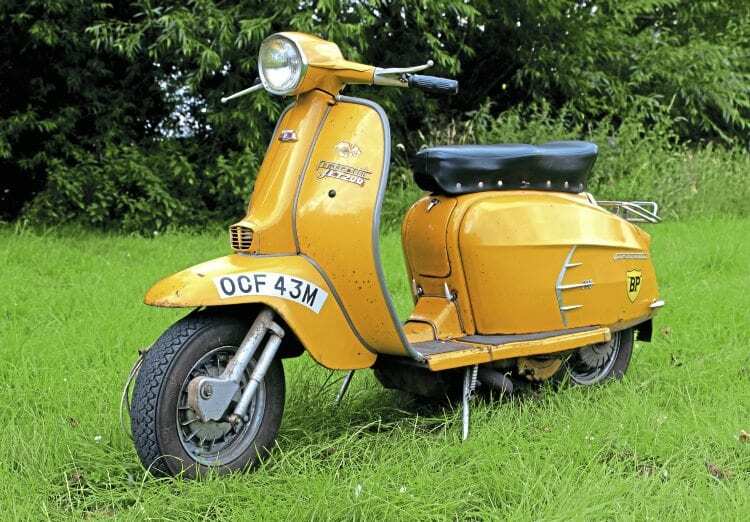 1989/1990: Production of Spanish Lambretta scooters ceased.